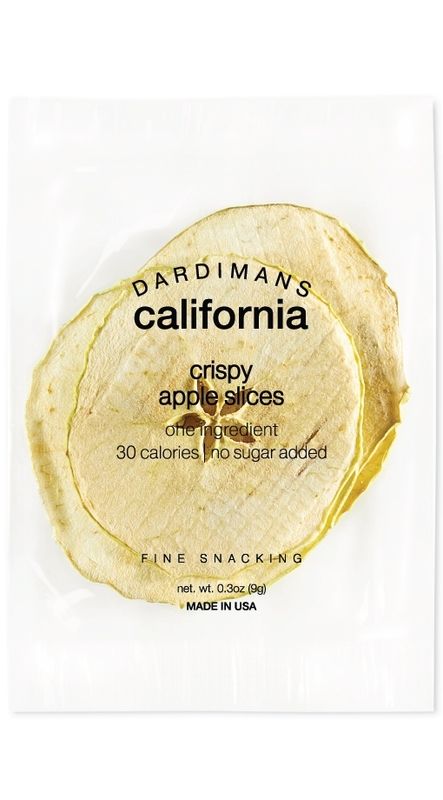 Apple crisps are a perfect healthy alternative to sweets. Their granny smith tartness is a pleasant surprise and gets you crisping on these almost constantly. They’re enjoyed with peanut butter, jellies, jams and desserts. NUTRITION FACTS nutrition facts serv. 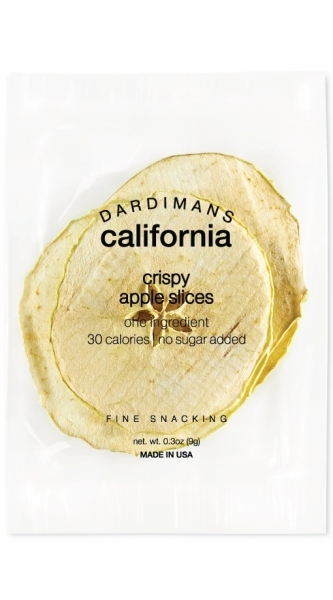 size (9g), serving per bag (1), amount per serving: calories 30, fat cal. 0, total fat 0g (0% dv), sat. fat 0g (0% dv), trans fat 0g, cholest. 0mg (0% dv), sodium 0mg (0% dv), total carb. 8g (3% dv), fiber 1g (4% dv), sugars 6g, protein 0g, vitamin a (0% dv), vitamin c (2% dv), calcium (0% dv), iron (0% dv). percent daily values are based on a 2,000 calorie diet.